Shop online for over 400 space models at discounts up to 57%. Moebius Models is ranked #1 out of 31 space models manufacturers, followed by Pegasus Hobbies, and Bandai Models. Assemble the Space Shuttle Discovery & Booster Rockets with this 1:144 Scale Plastic Model Kit from Revell. Suitable for Ages 10 & Older. 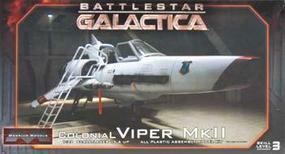 This is the 1/32 Scale Battlestar Galactica Colonial Viper MkII Plastic Model Kit from Moebius. Suitable for Ages 15 & Older. 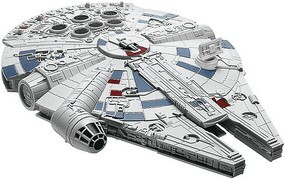 This is the 1/32 Scale Battlestar Galactica Colonial Viper Plastic Model Kit from Moebius. Suitable for Ages 15 & Older. 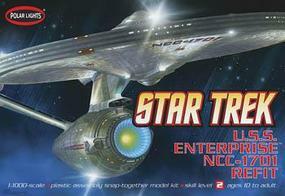 This is the 1/1000 Scale Star Trek U.S.S Enterprise NCC-1701 Refit Snap Together Plastic Model Kit from Polar Lights. Suitable for Ages 10 & Older. 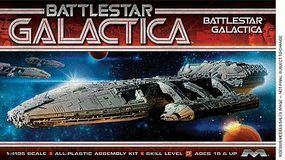 This is the 1/4105 Scale Battlestar Galactica Original Galactica Plastic Model Kit from Moebius. Suitable for Ages 15 & Older. This is the 1/32 Scale Battlestar Galactica Classic Cylon Raider Plastic Model Kit from Moebius. Suitable for Ages 15 & Older. This is the 1/72 Scale Space: 1999 Eagle 1 Transporter Plastic Model Kit by MPC. Suitable for Ages 10 & Older. This is the 1/350 Scale Star Trek U.S.S. Enterprise Refit Plastic Model Kit from Polar Lights. Suitable for Ages 10 & Older. Assemble the Mercury Capsule with this 1:12 Scale Atomic City Plastic Model Kit by MRC. Suitable for Ages 10 & Older. This is the 1/2500 Scale Star Trek U.S.S. Enterprise NCC-1701-C Plastic Model Kit from AMT. Suitable for Ages 10 & Up. This is the 1/72 Scale Science Fiction Plastic Model Kit of the Area-51 UFO A.E.-341.15B by Pegasus Hobbies. Suitable for Ages 13 & Up. This is the 1/144 Scale Haunebu II Saucer from Pegasus Hobbies. Suitable for Ages 14 & Older. 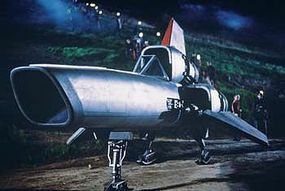 This is the 1/100 Scale Vostok Rocket Plastic Model Kit by MPC. Suitable for Ages 12 & Older. 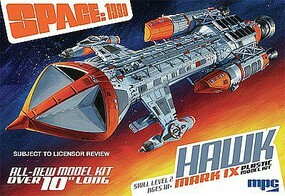 This is the 1/4105 Scale Battlestar Plastic Model Kit from Moebius. Suitable for Ages 15 & Older. This is the 1/144 Scale Luna Rocketship from Pegasus Hobbies. Suitable for Ages 14 & Older. This is the 1/48 Scale Science Fiction Plastic Model Kit of the War of the Worlds Martian War Machine from Pegasus Hobbies. Suitable for Ages 8 & Older. This is the 1/350 Scale The Moonlander Spacecraft from Pegasus Hobbies. Suitable for Ages 14 & Older. This is a 1/72 Scale UFO from The Invaders from Atlantis from the Atlantis Model Company. Suitable for Ages 12 & Older.